Barcelona is possibly one of the best destinations in Europe. 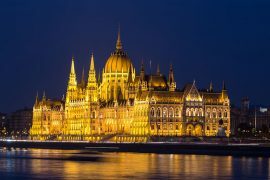 With a fantastic mix of historic architecture, famous landmarks from the likes of Antoni Gaudí, as well as beaches, museums, shopping districts and nightlife. You’ll find this city on the East Coast of Spain and it is an affordable and enjoyable destination that is perfect for a city break. In this quick guide to visiting Barcelona, you’ll find information on how to get around, some suggestions of things to see and do, as well as various tips on eating and accommodation. Barcelona has a great range of things to do from relaxing to exploring. 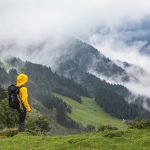 Below you will find some of the top things to do during your visit. 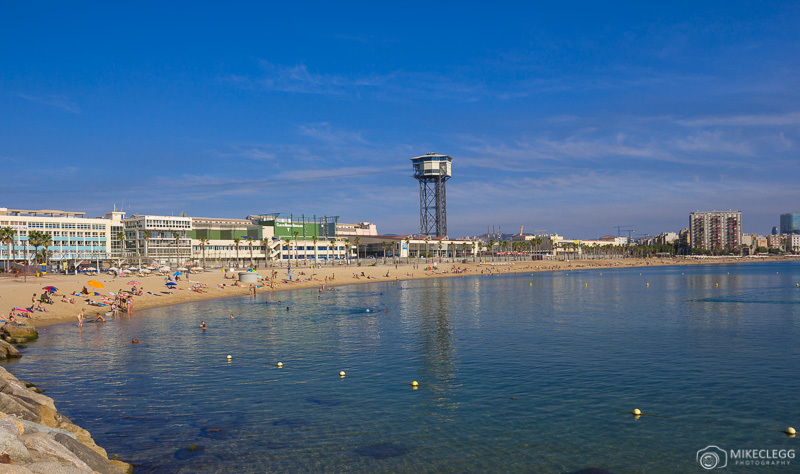 A fantastic feature of Barcelona is the beaches, such as Barceloneta Beach. These are the perfect places to go and spend your day soaking up the sun and then taking dips in the Balearic Sea. As well as the beaches you’ll find various bars and clubs around here, which are perfect for dancing the night away. Park Güell is one of the most unique parks I’ve ever seen and is extremely photogenic with colourful mosaics, and architecture using interesting shapes and patterns. The park was designed by Gaudí in the 1900’s and is one of Barcelona’s biggest tourist attractions. When visiting you’ll find various features of interest including the Dragon Stairway, The Hypostyle Room, and the fantastic Nature Square which is where you’ll be able to enjoy some of the best views of the cities skyline. The park used to be free to visit, but is now ticketed as a way of controlling visitor numbers. 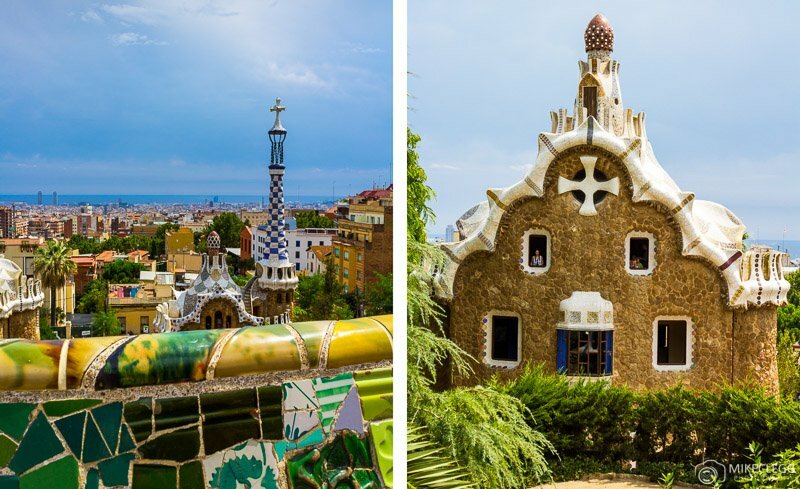 Head to parkguell.cat for more info and to plan your visit. 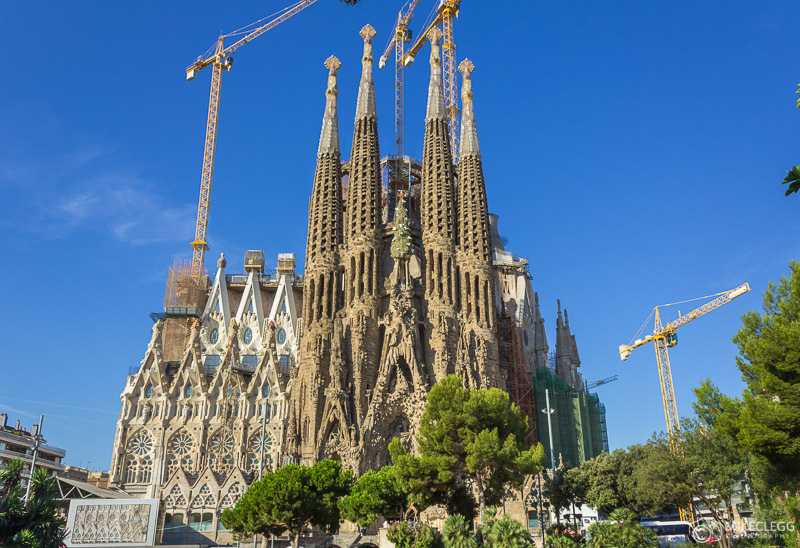 The Basílica de la Sagrada Familia is probably one of the most famous basilicas in the world and has been under construction since 1882, with the aim of being completed around 2026. The design was originally created by architect Francisco de Paula del Villar y Lozano, but later fell to Antoni Gaudí in 1883. It is also home to the crypt where Gaudí was later buried. The construction that still continues after his death is still based on his original concepts. Top Tip: The Sagrada Familia is definitely worth visiting, but get there early as the queues can be long. Casa Batlló is another of Antoni Gaudí’s architecture gems and has one of the most beautiful facades I’ve ever seen. It consists of unusual and unconventional curves and mosaics and connects to a colourful tiled roof, which is in the shape of an animal’s back covered in scales. The building is also listed as one of Barcelona’s seven UNESCO World Heritage sites. 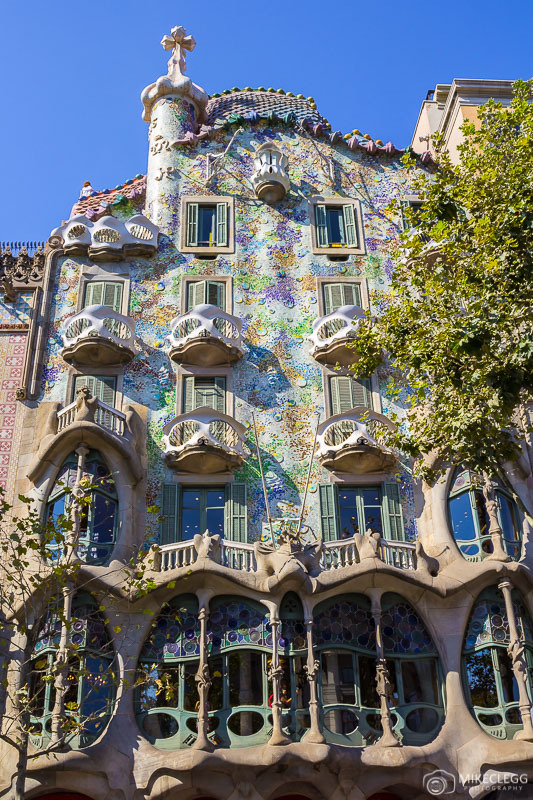 For those wanting to learn more about Antoni Gaudí and see the inside you can buy tickets. The exterior is free to see. 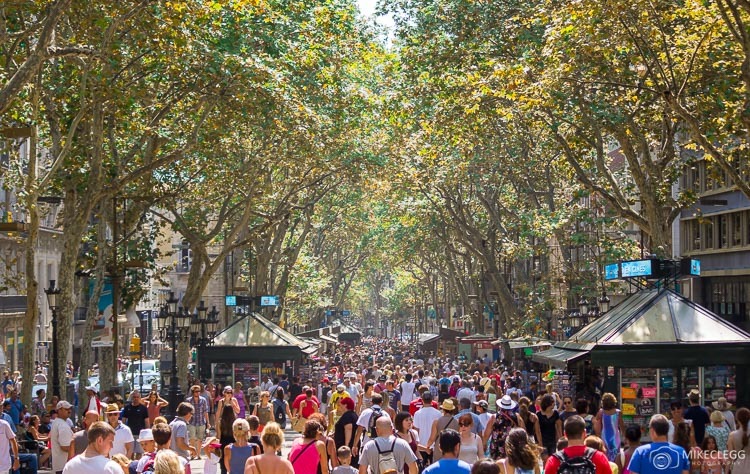 La Rambla is a huge boulevard lined with trees and is Barcelona’s biggest shopping street at 1.2km long. Along La Rambla you’ll find a large number of shops, restaurants and markets, making it a great place to spend a few hours or grab something to eat before venturing into other areas of the city. The Gothic Quarter is just east of La Rambla and is a maze of wonderful narrow and medieval streets. 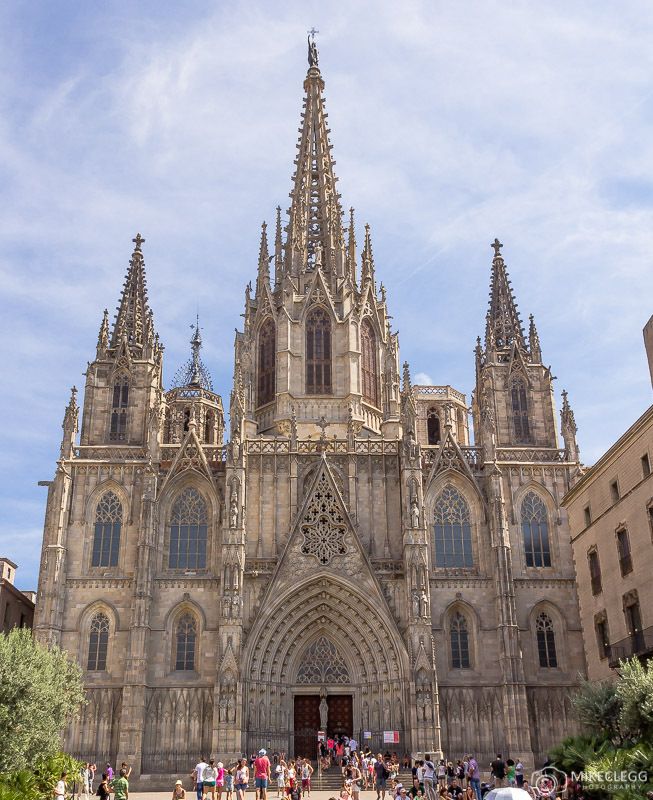 You’ll also find highlights such as the Cathedral of Barcelona, Palau de la Generalitat and various gothic churches. It makes for a wonderful place to explore and get lost, and also to take lots of photos. Barcelona is an awesome place to party with plenty of bars and clubs around the city. A great place to go is on the beach, where you can party for a few hours in a club, then head out and relax on the beach, potentially waiting for the sun to come up. 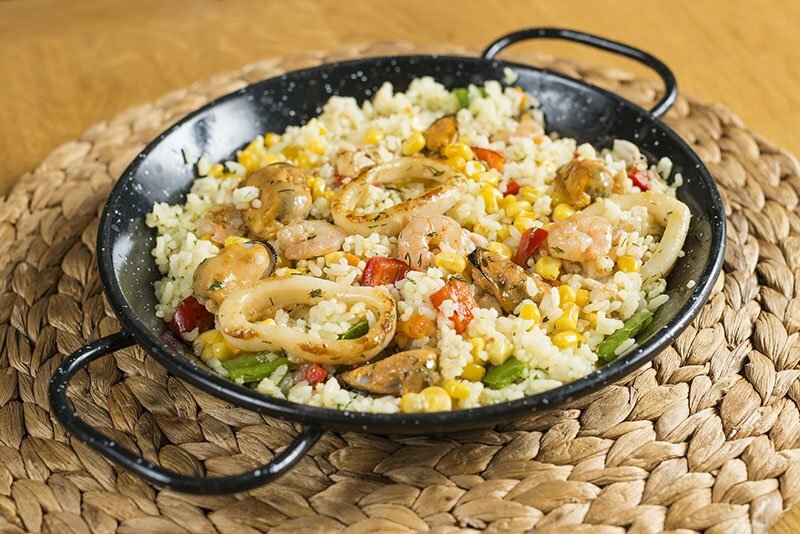 Spanish food is delicious, and when visiting I highly recommend trying Tapas as well as Paella. To find a great place to eat when travelling read my guide. Or start your search on tripadvisor.com for lots of ideas and reviews. When dining at a restaurant it’s polite to tip around 5-10% if you receive good service. You’ll find no shortage of great places to stay in Barcelona with a large mix of hostels, hotels and Airbnb apartments. As always I recommend staying as central as possible and not too far from a subway station. This makes seeing a lot more in the city possible, without spending to much time on transport. 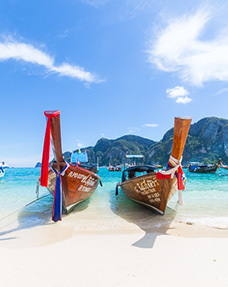 You’ll find various accommodation suggestions below, or find a deal on Booking.com. Luxury hotel: Hotel Arts Barcelona – With a fantastic rooftop pool and in a great location near the beach. Mid-range hotel: Tripledos Bed & Breakfast – I stayed here and it was beautiful and very central. Hostel/Budget: Yeah Barcelona Hostel – In a great location and with excellent reviews. To get to Barcelona by air you’ll arrive at Barcelona–El Prat Airport. The airport is around 30 minutes out of the city and accessible by public transport. Other ways to arrive is by train, or via an international bus service such as FlixBus. Once in the city it’s easy to get around. The public transportation is vast and consists of the subway, urban rail (FGC) and buses, which will get you quickly around the city. Tickets are cheap with one-way tickets for around €2.20, as well as travel cards starting at €15 for 48 hours (at time of writing). Of course if you didn’t fancy the trains or subways you can also get taxi’s everywhere, although this will be more pricey. Here are a few tips for when you visit Barcelona. Be streetwise with your possessions and watch out for pickpockets. I had no issue but know of people who have. 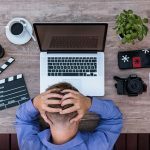 Read my post 20 Tips for Keeping You and Your Possessions Safe Whilst Travelling for tips. The official languages are Spanish and Catalan, although I found English was pretty good everywhere. The currency in Barcelona is Euro’s and you’ll find plenty of ATM’s throughout the city. Head out early to take photographs when the streets and attractions will be quieter. Visit numbeo.com…Barcelona to get an idea of the cost of meals and food. 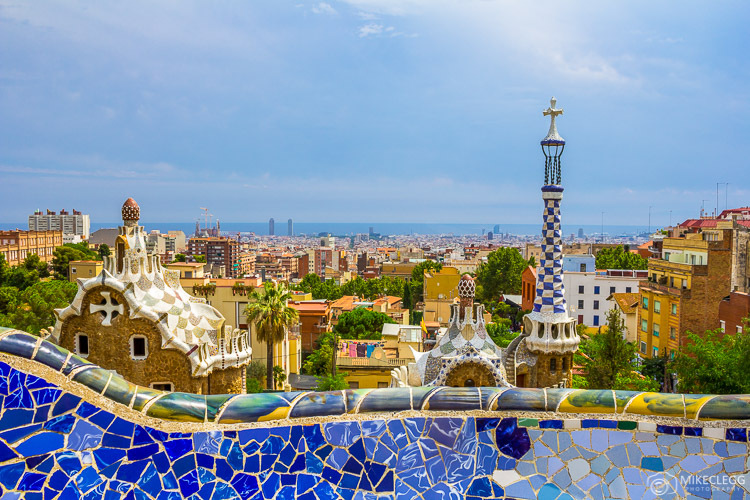 Being a city packed with awesome things to do, a fantastic cuisine, and some of the most photogenic architecture on the planet, I’m sure you will come back from Barcelona having had lots of fantastic experiences.